According to the latest Market Monitor report from Counterpoint Research, the Brazil smartphone market contracted by -16% YoY but grew a significant 15% growth sequentially. 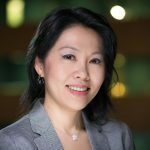 Commenting on the slowdown, Senior Analyst, Tina Lu noted, “Brazil has been going through a deep economic crisis that started in mid-2015. This economic crisis was one of the major reasons forcing out the then president, Dilma Rousseouff. The economic crisis was severe enough to question if Brazil would remain as the biggest smartphone market in volume and value in Latin America during 2016. Q3 2016 was the peak of the downturn as Brazil now is moving towards slow and painful recovery. Early signals of increasing smartphone demand, a leading indicator that the recovery has begun, were reported during the final quarter of 2016. Demand rose 15%, sequentially. Consumer spending also improved during Q4 in Brazil. Year-end bonuses were spent despite recessionary environment, thus signaling some recovery in consumer sentiment. Nine out of ten mobile phones shipped in Brazil were smartphones in 2016. Feature phone segment continued to decline seeing 56% decrease annually in 2016 as most of the devices are being imported and subject to higher taxes. In addition, smartphones are proliferating in sub $100 segment adding further pressure to feature phones. LTE capable smartphones grew a massive 53% in 2016, and its penetration of the total smartphone shipments rose to 86%. Samsung and Alcatel gained share, while Apple and LG lost share. The brands that gained share were those able to offer less expensive, entry level, LTE enabled smartphones. Samsung gained 666 basis points of share YoY. The company owned almost half of all the smartphones shipped in 2016 within Brazil. Samsung’s volumes were almost flat YoY. Alcatel also gained market share. To do so, it changed its top management, opened some branded kiosks in the top malls in Brazil and set up local manufacturing. Motorola was the second largest smartphone vendor in Brazil. The company lost a small -12 basis points of share. Apple has lost more share than any other brand within the smartphone category. -453 basis points of share annually in the Brazilian market. Positivo led all local brands in the smartphone space. Brazil mobile device retail landscape is dominated by the Open Channel. 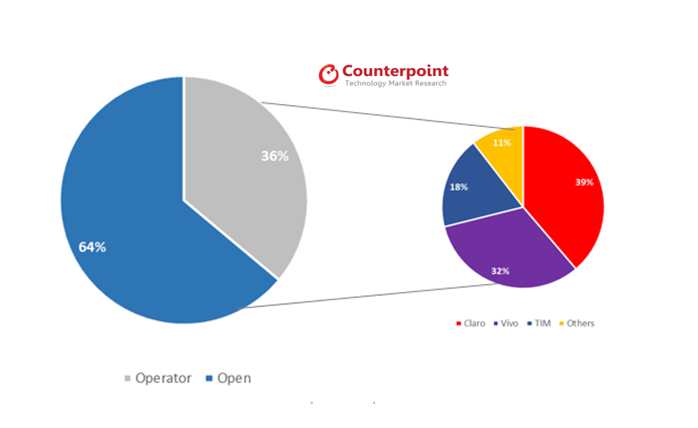 The Open Channel represented 64% of the market and Operator channel represented the other 36%.